Jump for our 20th Birthday! Our Scheme Manager invites you to join her skydive to celebrate our 20th Anniversary! We are celebrating our 20th birthday this year and are asking the local community to join us and our Scheme Manager, Liz Roe, in celebrating by talking on a 10,000ft tandem skydive. This fun thrill-seeking challenge is a perfect opportunity to mark this significant celebration and to experience a challenge of a lifetime. Home-Start supports hundreds of local children each year, with our dedicated team of trained volunteers. 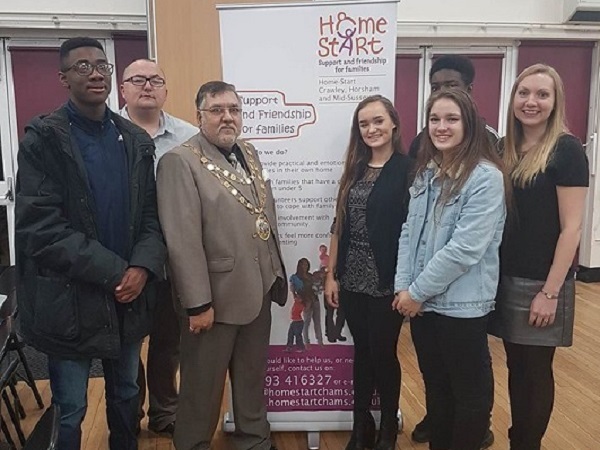 They work with families across Crawley, Horsham and Mid-Sussex, helping parents who are struggling to cope with issues including isolation, disability, poverty, and multiple births. The Home-Start Skydive takes place on Sunday 27th May and Saturday 16th June at GoSkydive. To find out more about this event please visit our events page here.